TurboDispute | Credit Repair Business Software CRM | Try it FREE! needed to start, run and grow your Credit Repair Business! credit repair business from anywhere! 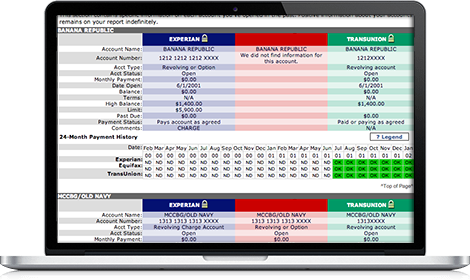 Automatically import your clients Credit Reports. No more typing of Credit Report data. over 1000 records every month! 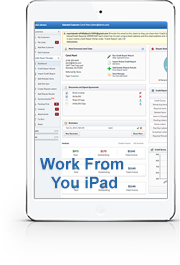 Manage your business, your team, clients, affiliates, and leads from any computer, tablet or smartphone. 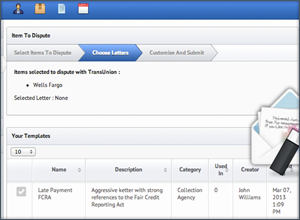 It automatically pulls data from the credit reports to create perfect credit dispute letters in seconds. Clients login, sign agreements and monitor their progress, saving you hours on unnecessary calls. 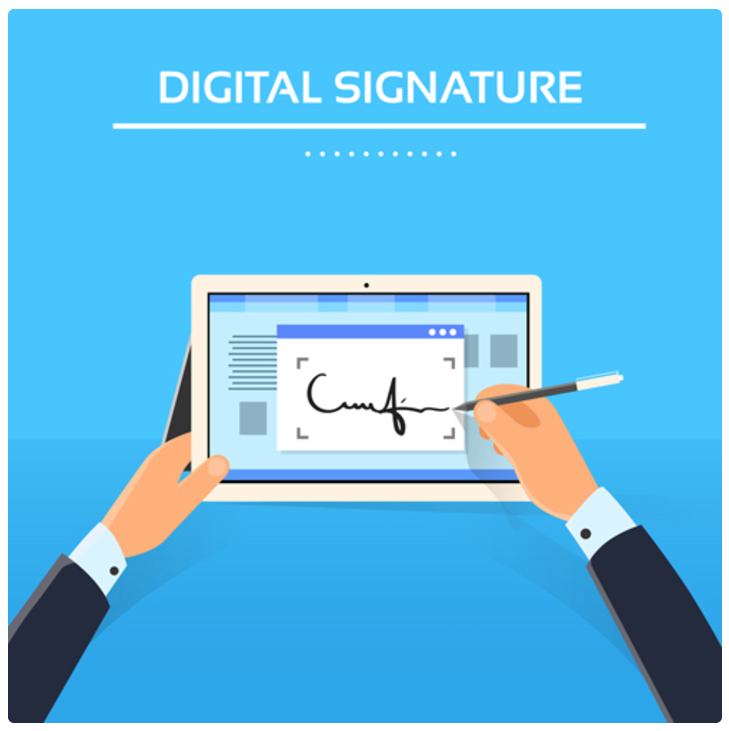 Signing contracts and delivering disclosures online has never been easier and more effortless-copy and paste your credit repair contacts and other necessary disclosures. Enter results and track your progress. Each status and item is color coded, making it easy to identify which items have been repaired, deleted or are still negative. With the TurboDispute affiliate portal, affiliates can send you leads and check statuses with ease. From there, all you need to do is click on the customer’s name to approve. 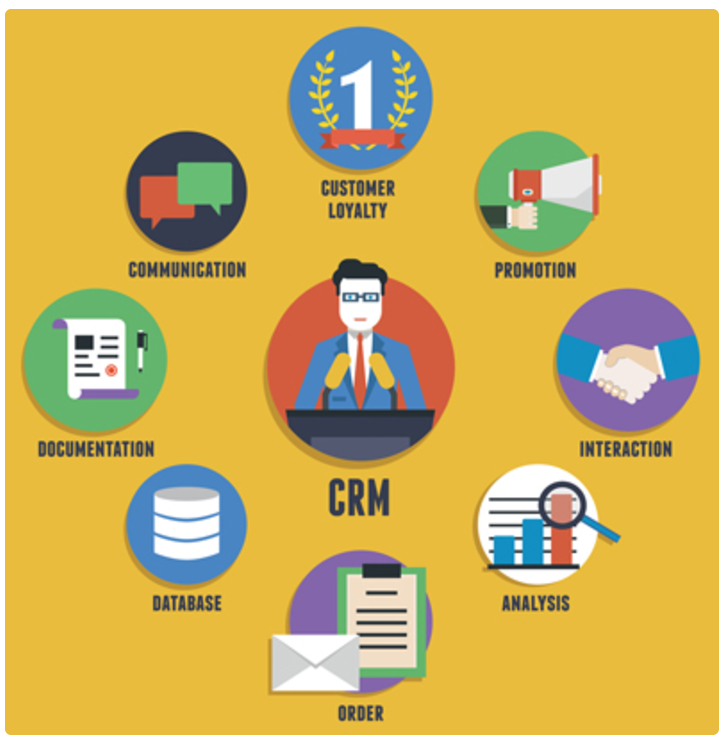 Powerful CRM tools to manage customers and leads giving your company central view, enabling collaboration across your company. 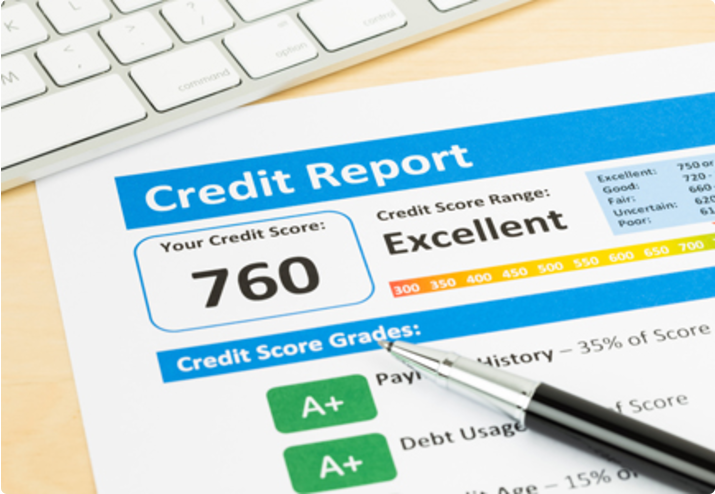 The credit repair industry is becoming more important to consumers. The opportunities for growth in this industry are undeniable, and with the right software, you can run your credit repair business more efficiently and grow faster. 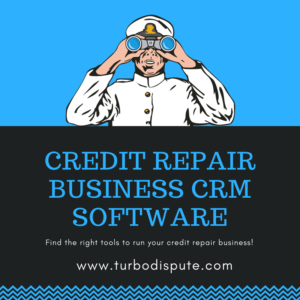 TurboDispue is a Cloud-based business to business credit repair CRM software that you can access at any time from any device will make you more efficient. You’ll be able to serve clients faster and take on more business, all without sacrificing quality of service. 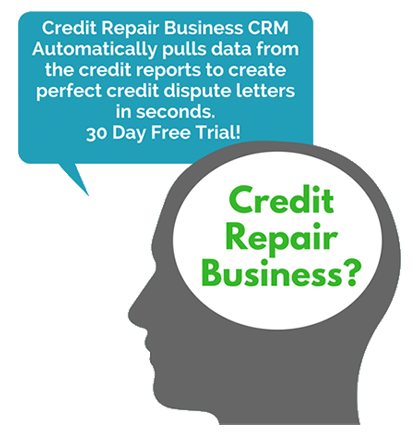 Why Use a Credit Repair CRM System? Advancements in technology make it much less difficult for credit repair businesses to quickly start operating a successful credit repair business. The latest software that people use in this industry is all “cloud-based,” and automates most credit repair related tasks. Thus, you can spend more time marketing and serving your customers. 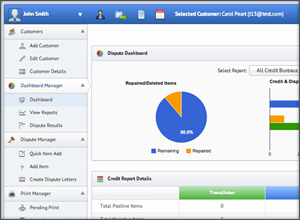 Also, an easy to use customer management screen will make it easy to find any customer’s credit repair history in one place. The cloud-based credit repair software is simply more productive and affordable. 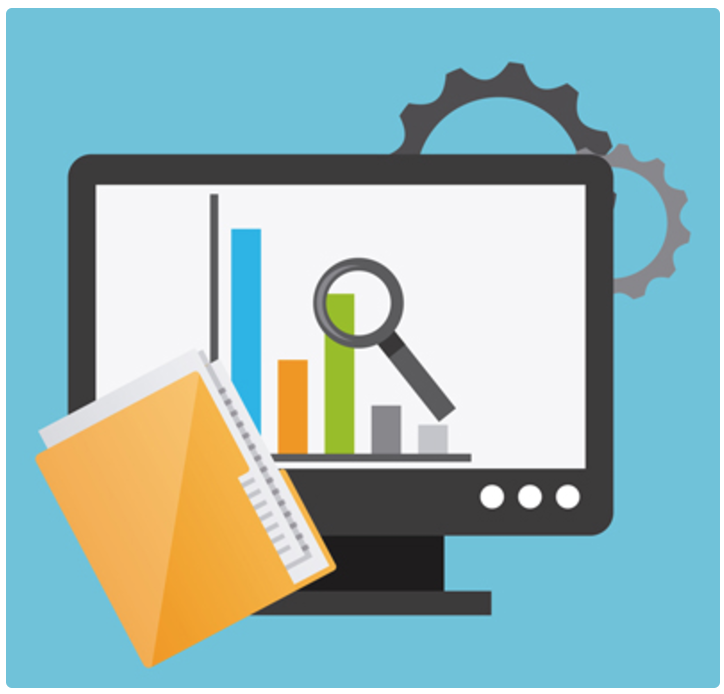 Downloadable software can be expensive, unreliable and the prices will only increase as your business grows. But with this cloud-based online software, your company can continue to grow, and you will simply continue the routine of opening a browser and logging in. Aside from its competitive price, you can rest assured you will never experience crashes with 99.9% uptime. You don’t want software that starts bugging out every few days. This program has 99.9% uptime, which means you don’t need to worry about losing time and money. In addition, your data will be backed up on a secure backup server as you work. Work on your clients Experian, Equifax and TransUnion personal credit. Manage your entire credit repair business from anywhere. 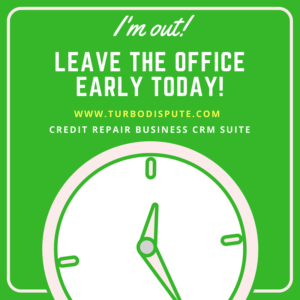 TurboDispue is a Cloud-based business to business credit repair CRM software that you can access at any time from any device will make you more efficient. You’ll be able to serve clients faster and take on more business, all without sacrificing quality of service. In addition, TurboDispute provides you with an efficient payment system integration (Stripe and Authorize) that allows you to connect your CRM account to your own merchant gateway and charge your customers when you create an invoice. With a “Pay By Credit Card” button appearing on every invoice, your clients can pay their invoice via their web portal. (Simply sign on to stripe.com and signup for an account). Work Through a customized and intuitive Business Credit Builder Platform. When you sign up for the TurboDispute’s Business Credit Builder CRM, you are given access to a customized system that can be used to build business credit for existing business or startup. You’ll have complete control over the platform, allowing you to progress as rapidly or as slowly as you like. Manage your clients Dun & Bradstreet, Equifax Small Business, and Experian Business Credit and track your progress all from one platform. Learn how to register your client’s business D-U-N-S Number. Once you acquire your clients D-U-N-S number, you can start the simple process of building their business credit. You will also be able to register for a D-U-N-S number on the DNB Express site free of charge. 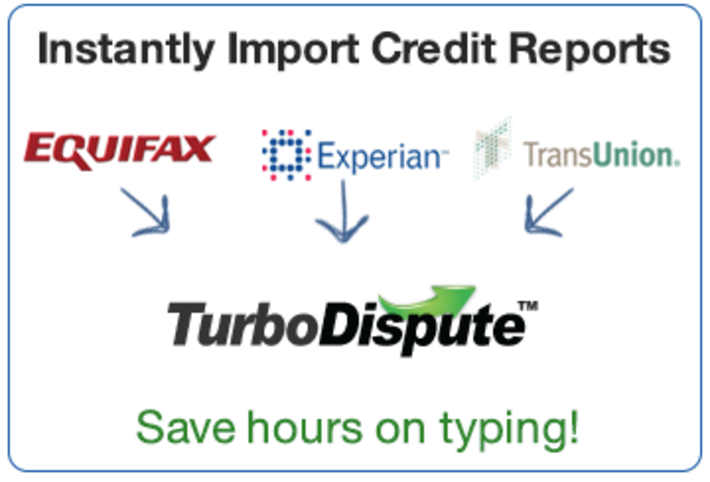 With TurboDispute business credit builder wizard, you will be able to request credit bureaus report business payment activities to Experian and Dun & Bradstreet—two major credit agencies who need to be informed of your client’s payments and activities. Personalize the software to fit your company’s branding instead of keeping it under the TurboDispute name. Your clients will be oblivious to the fact that your business doesn’t actually own the software. On-site logins allow both customers and referrals access their dashboards by logging in through a domain name other than TurboDispute.com customized with your own company logo and contact information that match your website so that your customers will be unaware that you are using TurboDispute software. Your clients will have 24/7 access to their agreements, attachments, credit repair status, dispute history—everything they need to stay informed. 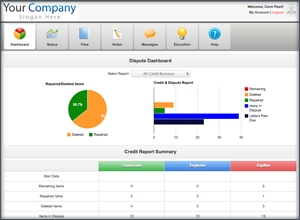 Credit repair progress charts and graphs will allow your clients to view the status of their profile in an easy to understand format. No more phone calls asking “what is the status and progress”, your customers can log in and have real-time access to status and daily progress. 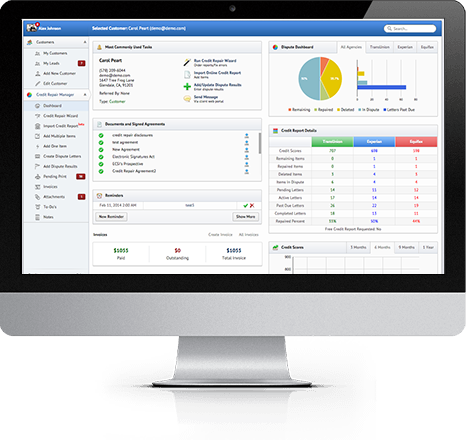 Advanced customer management tool allows for your company to work together as a team to manage every single customer. You can add new customers and leads within seconds—once again, just a few clicks is all it takes. In addition, you can capture online leads directly from your site or blog by simply pasting a web form code onto your site using our “Web Lead Form” feature. The sign ups will be sent directly to you as new leads table, where your staff can follow up with future customers. With the customer Activity Feed feature you and your staff can post updates or notes on the work performed which will show chronological notes, comments or to do for that customer. Also, separate appointment calendar system, you can track your tasks and to do’s with ease. 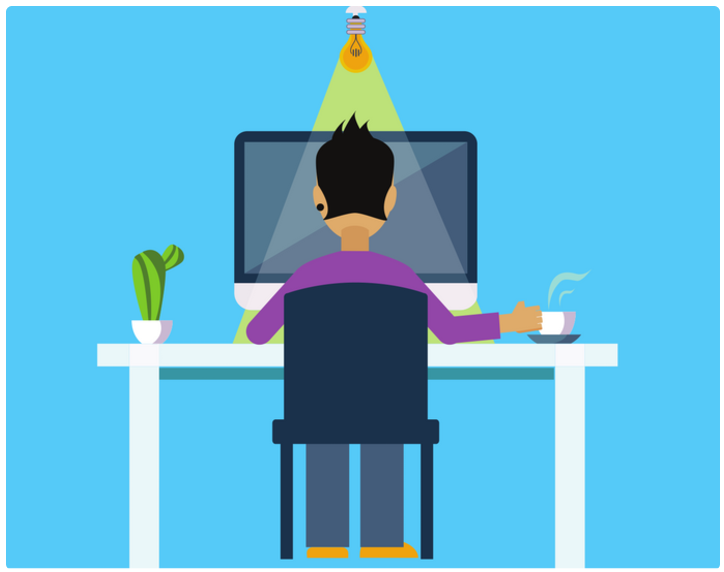 The user task management feature gives you and your employees the ability to delegate tasks. Many credit repair leads fall flat when too much time is invested trying to acquire the client. Through the ability to digitally sign credit repair agreements, your company can keep a stronger hold on your potential client’s attention. Advanced setting management: TurboDispute software provides separate settings to control different aspects of your business. You have dashboards for Customer Management, Referral Management, Affiliate Management, Account Management and Dispute Letter Management as well as Software Customization. In addition, automated responses and email templates are available through the TurboDispute credit software. This feature automates welcome and repetitive email writing and, by saving you time, it saves you money. TurboDispute software provides separate settings to control different aspects of your business. 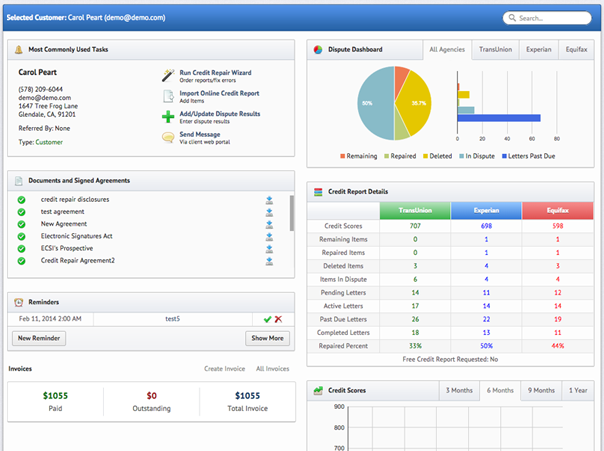 You have dashboards for Customer Management, Referral Management, Affiliate Management, Account Management and Dispute Letter Management as well as Software Customization. We know that every company is unique in their own way, and that is why we created a system that reflects that. In seconds you can customize drop downs and other software variables on credit report statuses, customer statuses, dispute instructions, add your own dispute reasons Individualize your own account statuses, account types, dispute statuses, letters, user privileges and much more. This is a problem for almost every entrepreneur, regardless of industry. Managing time poorly, and not being disciplined, can lead to a failed business. Knowing what activities are necessary and productive, and what activities should be either ignored or outsourced, can be tough. It takes time as a business owner to reach maximum efficiency, but one thing you can do right away is to have the right software in place. The software lets you automate certain tasks, especially time-consuming jobs like entering data or searching for specific credit information. As a credit repair professional, the right software will save you time and allow you to maximize the profits from every client. You can manage your entire credit repair business from anywhere! Since TurboDispute has the advantage of being a cloud-based software, you will be able to access the software from whatever device you choose—desktop, laptop, phone, all you need is a web browser and an internet connection. Accomplish more in less time with automated credit dispute letters. With the “point and click” dispute letter creator, you can create customizable dispute letters fast and print them with “All Pending To Print Letters Bulk Printing” feature. Our one-of-a-kind credit repair business program is considered the simplest and most powerfully effective way to help you manage your startup or established credit repair business. 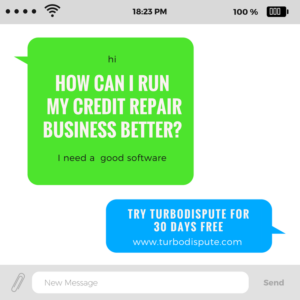 TurboDispute delivers the best credit repair business platform with tools such as automated dispute letters, client and affiliate portal, client invoicing system, activity feed, team management and fully customizable platform that you can adjust to your specific needs. Clients can log in, sign agreements, monitor their progress, and make adjustments, saving you hours of time. 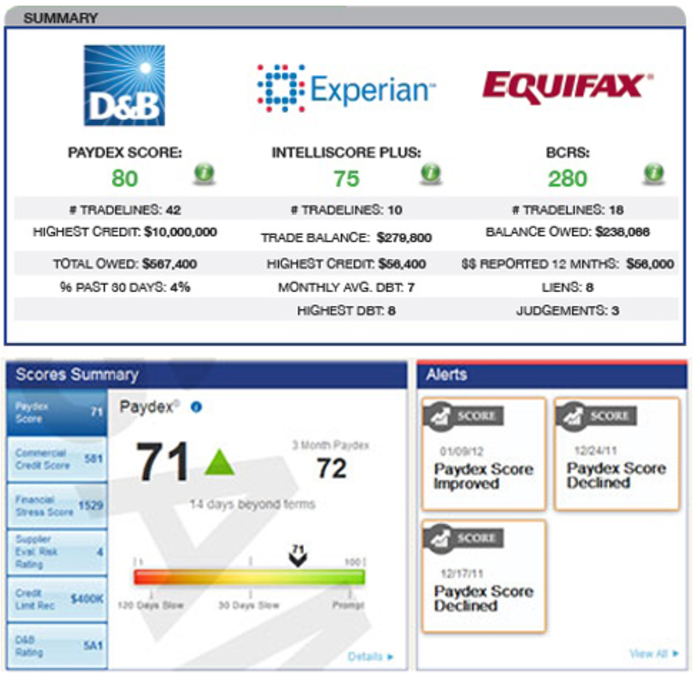 If your goal is to run a credit repair business, you absolutely must use the right software.